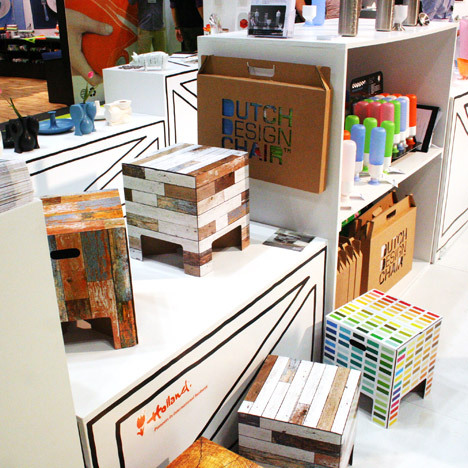 Don't be fooled by their name (a reference to the country where they've been exhibiting since 2004): Tuttobene is actually a confederation of Dutch designers who pursue "the art of designing physical objects to comply with the principles of economic, social, and ecological sustainability." 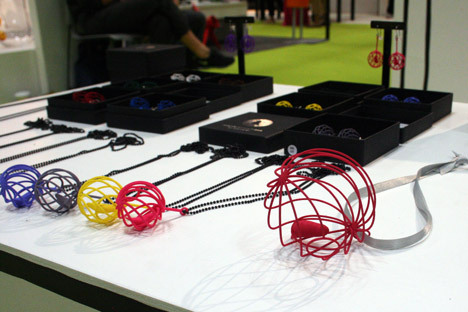 While they're an institution in Milan, the recent NY International Gift Fair hosted their first foray into the U.S., at once an exploratory mission and a chance for designers from the Netherlands to gain exposure beyond the sometimes-insular design world.The participation of Tuttobene at the New York International Gift Fair is the U.S. debut for both Tuttobene and the design studios. 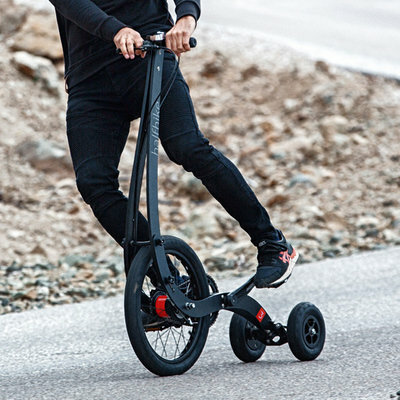 Never before such a large group of Dutch designers gathered in the U.S. in a group presentation. The Boyscouts, Dutch Design Chair, De Dopper, Manon Garritsen, Royal Goedewaagen, Yvette Laduk, Jurianne Matter, Tweelink, Slim Ben Ameur, New Duivendrecht, Oooms, The Cottage Industry, Reineke Otten, Frederik Roijé, Roozenbottel, Soonsalon, Carina Riezebos and Carola Zee for Label Aleph will show their products. 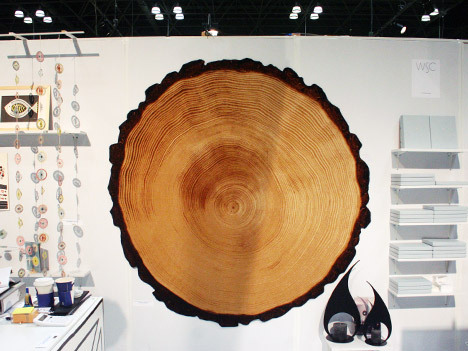 Yvette Laduk's "Woody Wood" anchored the booth... because bigger is definitely better here in 'Murica. 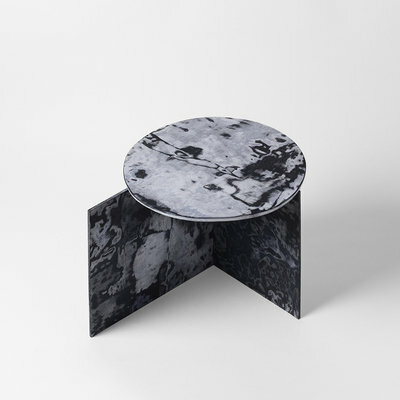 If a trip across the Atlantic isn't as far-flung as, say, Mars, many of the designers expressed a genuine curiosity about the differences between the furniture-centric Salone and the more retail-driven Gift Fair. 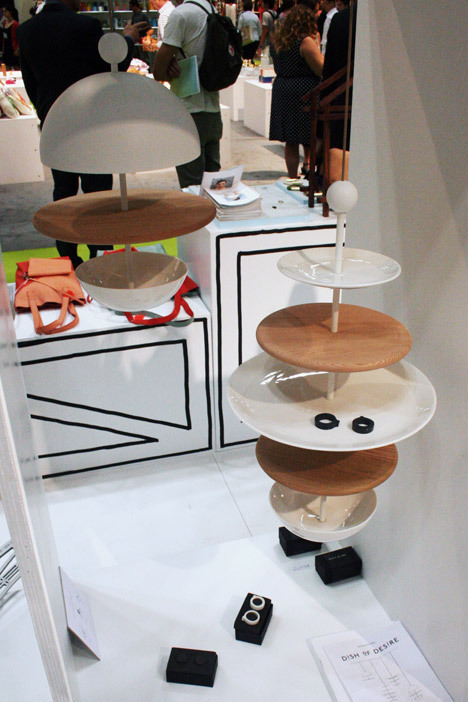 Nevertheless, the 18 designers and companies made an impressive debut at the Javits Center, and Tuttobene was easily one of the strongest booths at this year's show. 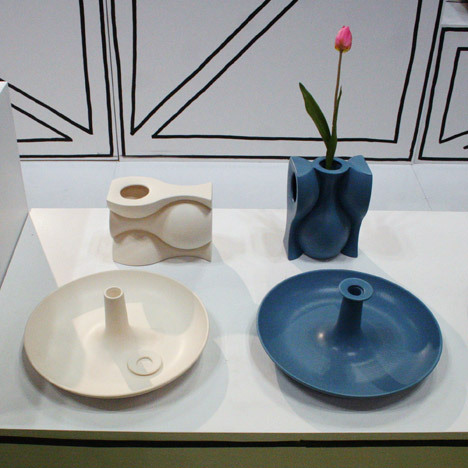 Although we'd seen Frederik Roijé's "Dish of Desire" and Slim Ben Ameur's "Continued Vase" at New Duivendrecht in Milan, the fact that the work looked great even in a markedly different context reaffirmed the strength of the work. 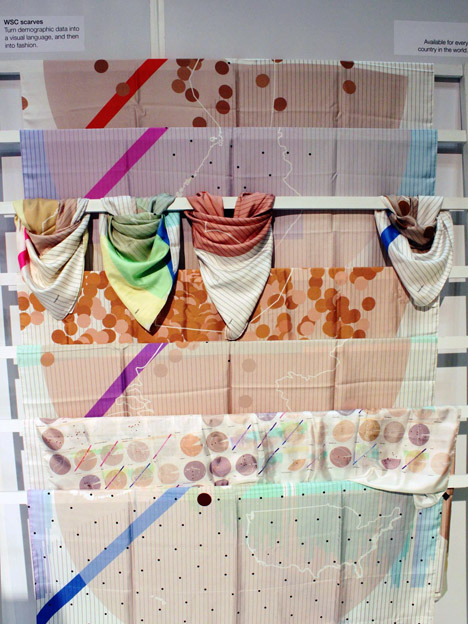 Reineke Otten's "World Skin Colors" scarves were a definite standout: the silk scarves are digitally printed with sociological, economic and geographical data that's been abstracted to varying degrees into stylized infographic patterns and symbols. 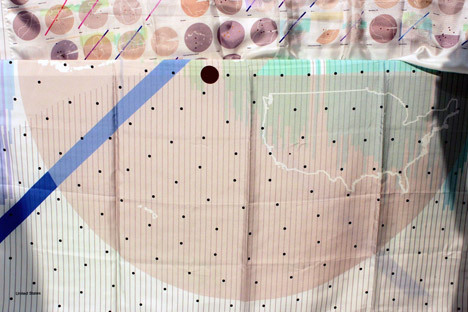 Each one measures 140cm2 (55in2), and she's produced a graphic for every country, over 200 in all, as part of her broader investigation into the topic.The World Skin Colors scarves turn this (demographic) data into a visual language, and then into fashion. A program directed by Reineke Otten and applied by LUST designers translates these gathered statistics about migration, population density, temperature, UV radiation, GDP, and transport into a graphic code: the numerical grid of an Excel sheet becomes shape, color, and pattern in eight overlapping layers. Each layer represents a different factor influencing the composition of skin tones in a particular place. 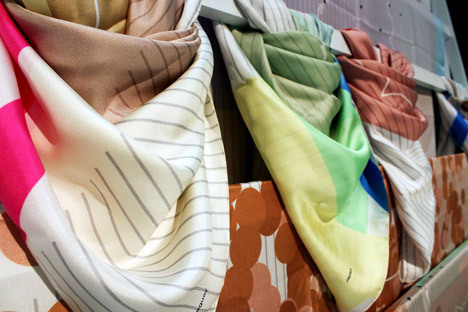 While Otten has presented the data in various formats for exhibitions the world over, the scarves represent a particularly accessible—and beautiful—product of the "World Skin Colors" project. 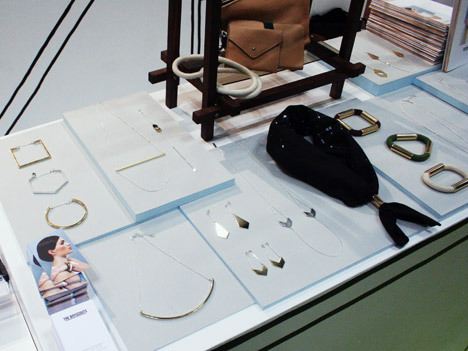 The Boyscouts is a collection of jewelry and accessories by Rotterdam-based designer Zelda Beauchampet, who's come a long way since she graduated from the Design Academy in 2005. 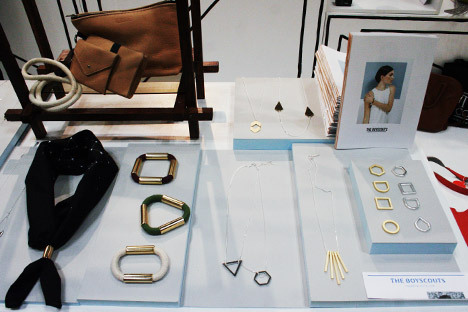 The minimalist pieces take cues from their namesake scouts, translated into an allusive design language, chevrons and bungee cords cast into simple, elegant necklaces, earrings, bracelets, etc. 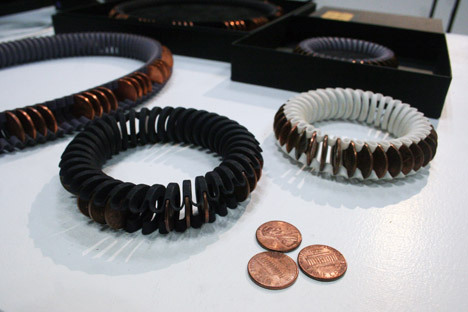 Soonsaloon exhibited two collections of 3D-printed (so hot right now) objects: Michiel Cornelissen's "Happy Bird" and "Merry Bird" jewelry and ornaments and (previously-seen) "ExChange" jewelry. We've been following Cornelissen's work for some time now—most recently, we posted about his interlocking coasters—has and we hope that his work reaches a wider audience via the Gift Fair. Royal Goedewaagen celebrated their 400th (!) 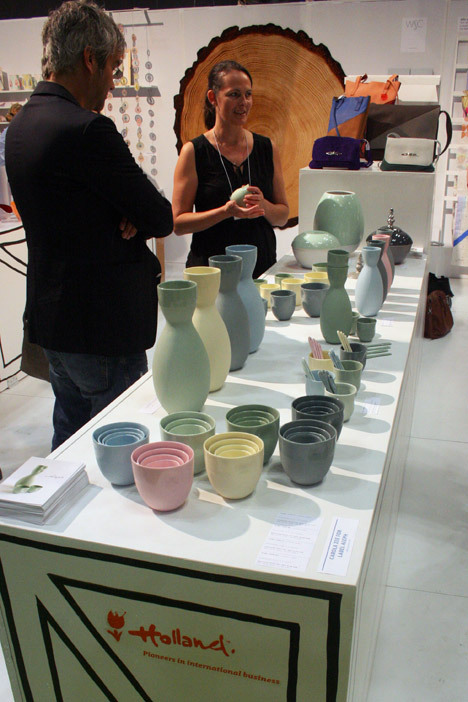 anniversary a couple years ago, and they continue forging ahead with the time-honored tradition of Dutch ceramics. 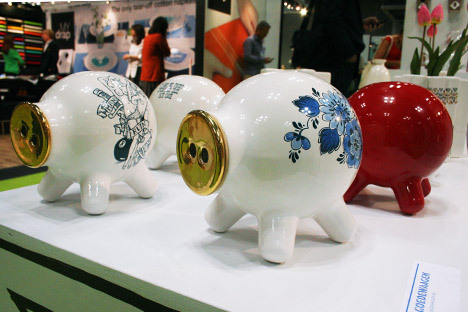 Although almost all of their wares—from vases to miniatures to birthplates—would be appropriate for the NYIGF, they chose to exhibit their hip artist-collaboration piggy banks alongside a few of their more conservative offerings. The Dutch Design Chair has proven to be quite popular since it debuted about a year ago. The multipurpose cardboard box measures roughly a foot on each side (it's 11.8”×11.8”×13.4” to be exact) and supports 200kg (440 lbs) of weight. 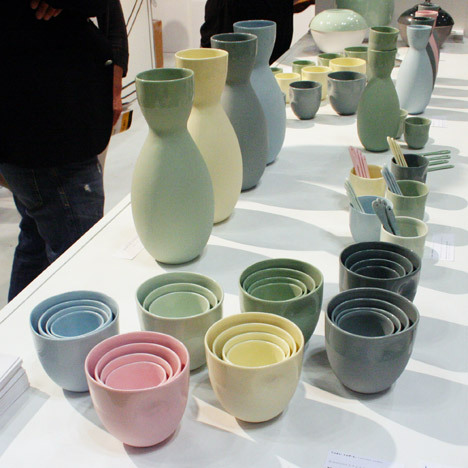 This series of Aleph cups and vases, designed by Carola Zee, is made from colored clay and partially glazed to interesting effect. 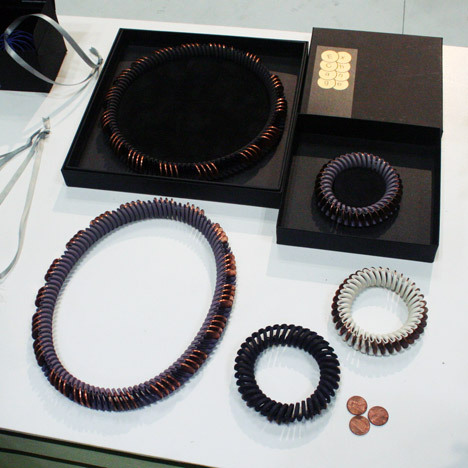 Each one is unique: the indentation is made by hand prior to firing. 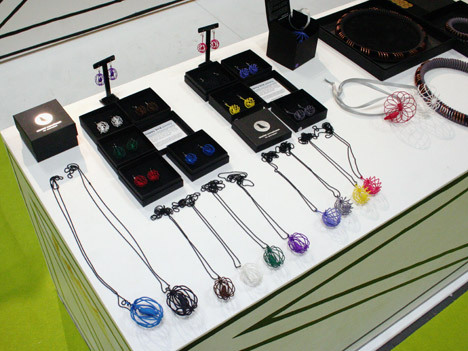 Tuttobene has additional links and information on the exhibition, designers and studios.